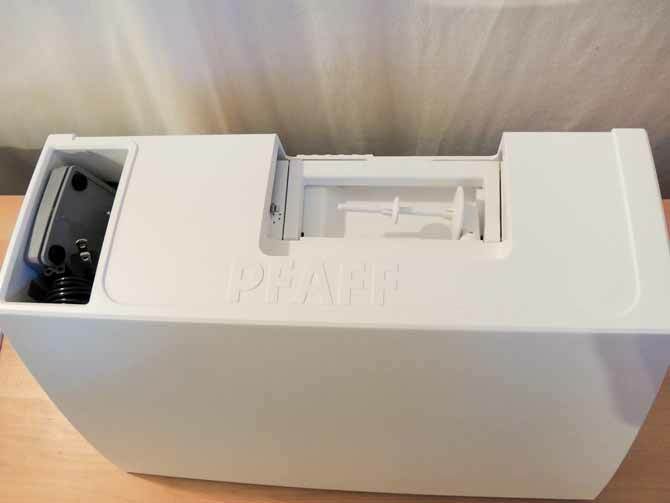 This week’s post feature is PFAFF’s passport 3.0. 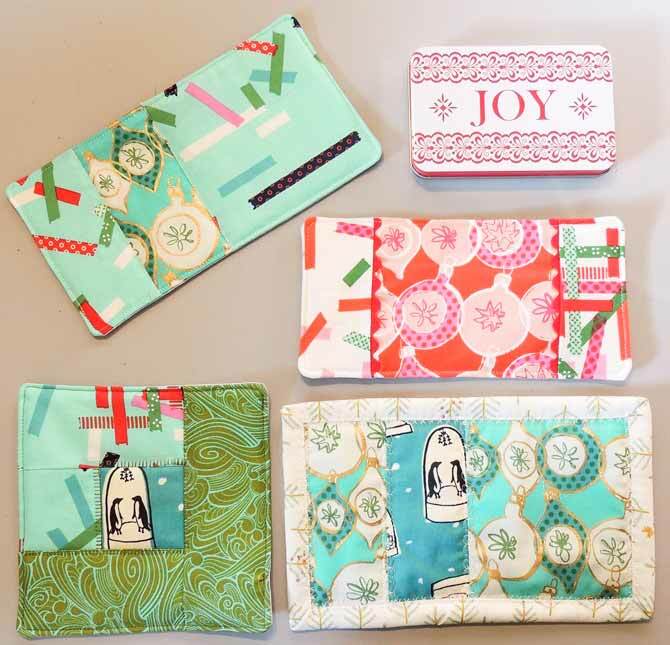 The machine is a perfect combination of features and portability to make it possible to finish last minute gifts or even visit with a quilting friend and take the machine with you too! 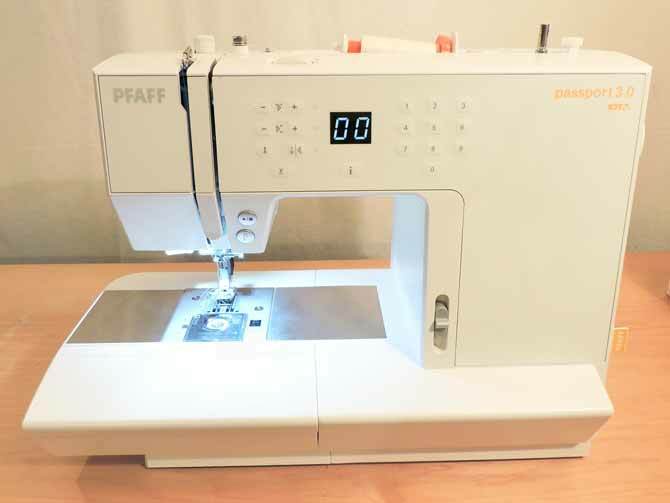 The passport 3.0 is a sturdy and efficient machine, plus it has many of the features that make it so enjoyable to sew with PFAFF. Here you can see the machine is pretty much the same size as a basic machine and its weight is evenly distributed for carrying too. The hard shell case actually has a built in pocket for the foot pedal to make it easy to pack up and take to a class or to a friend’s house. I don’t know about you, but staying with relatives over the holidays for an extended period of time always makes me wish I had my machine with me – this one is ready to go! The passport 3.0 has a stitch card that pulls out on the right hand side. It also has all the buttons you need directly in front of you when sewing. The grey lever on the front at the side of the machine is for speed control. I like being able to easily adjust the speed and do so frequently, especially when using decorative stitches. The two lower buttons close to the needle are the start/stop button and the reverse button on the bottom. I used the start/stop button when winding my bobbin – it did a great job of keeping the machine going at a consistent speed which led to an evenly wound bobbin. To stop the machine you can push the button again or step on the foot pedal. I’m still getting used to the reverse button; you can press the button and the machine will reverse without having to use the foot pedal. The machine will reverse at the speed you have the machine set to – another reason to adjust the speed. 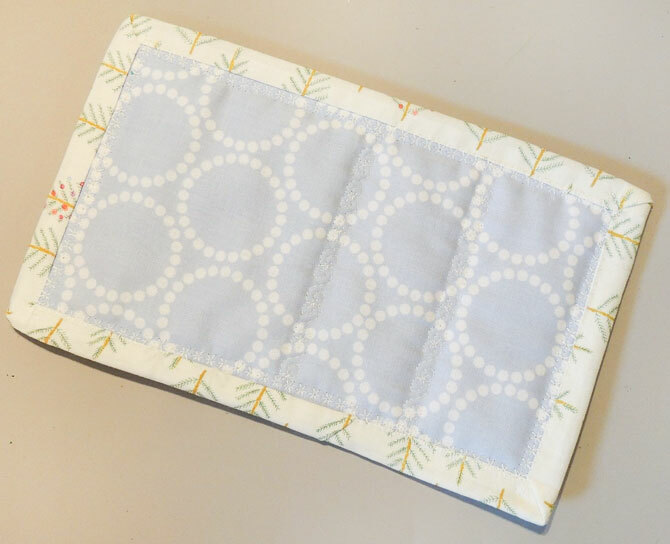 I thought it would be fun to show you the results of using some more of the features that I like on the passport 3.0 so I’m going to use it to finish some mug rugs I started last year! 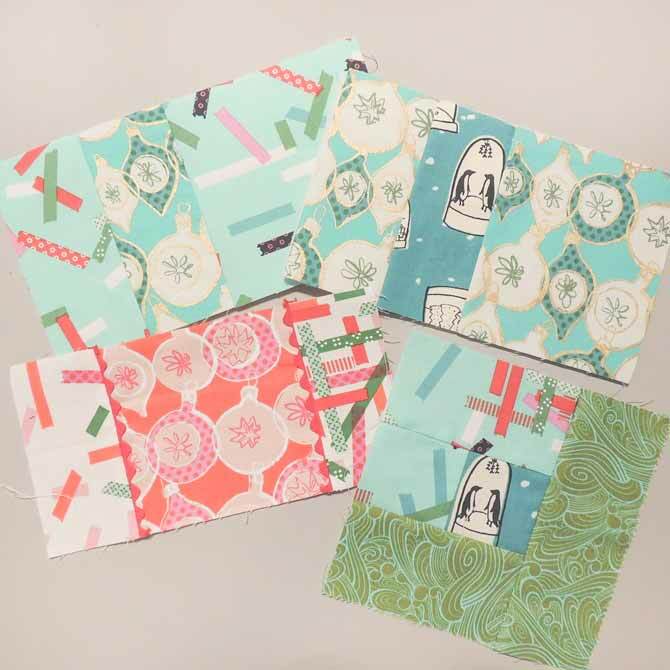 Then I cut scrap batting to the same size and used a new fat quarter to cut backing fabric the same size as each mug rug. Now I’m ready to start sewing and finishing! I wanted to try out some of the decorative stitches available on the passport 3.0. 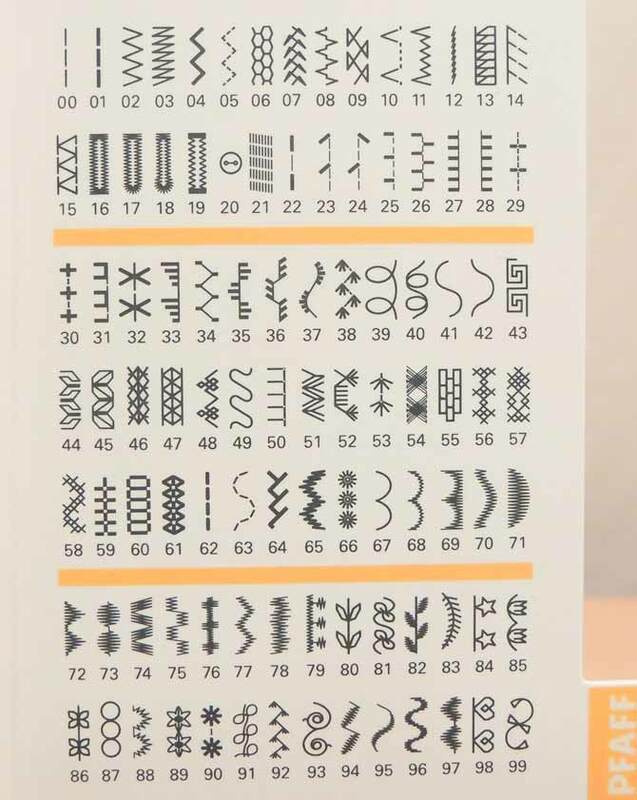 The pullout reference card makes it easy to visualize what a stitch will look like on a project. I decided on stitch 81. To select the stitch I pressed the number buttons. Then I pressed the “i” button beneath the display which changes the display to show the number of the presser foot recommended. 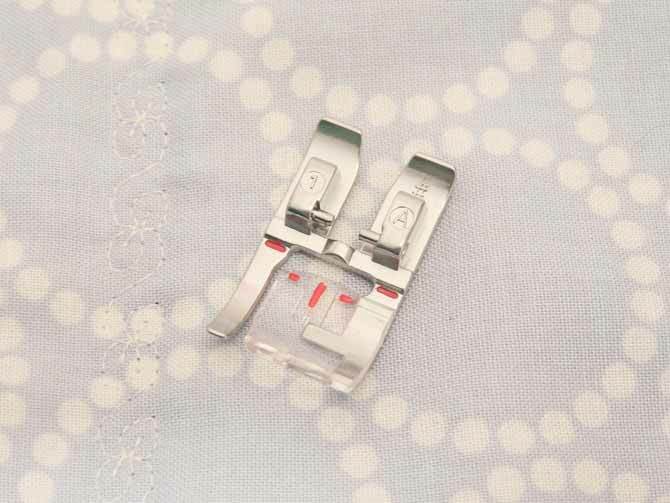 For stitch 81 presser foot 2A is recommended. 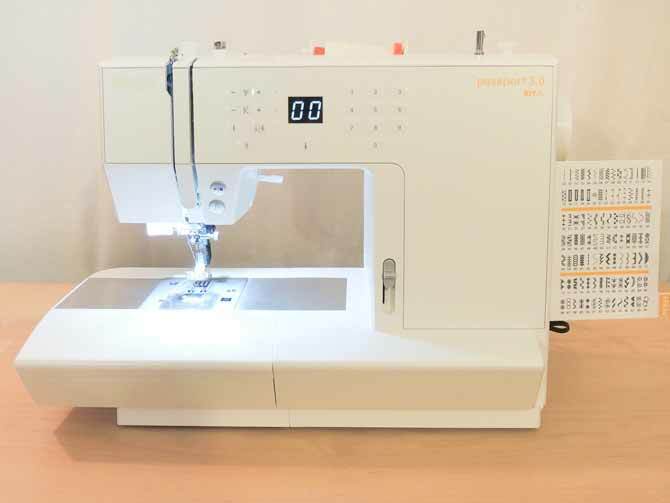 PFAFF sewing machines are known for having the built in IDT system. 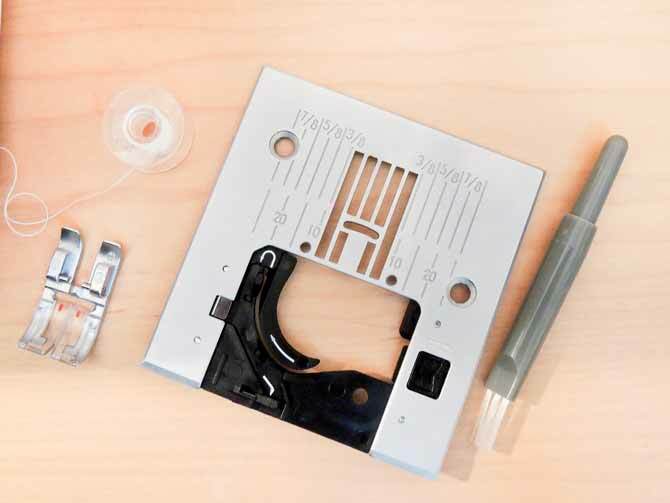 The system attaches to the presser foot to feed the fabric layers evenly under the needle. In this case, presser foot 2A doesn’t use the IDT system – you can see that because there’s no opening at the back of the foot. The IDT is the black part in the left of the photo; it sits raised and out of the way when not in use. In this photo you can see one row of decorative stitch 81 already sewn down one seam of the mug rug. I like to use the needle down feature pretty much all the time when using a PFAFF because it means I don’t have to pin! 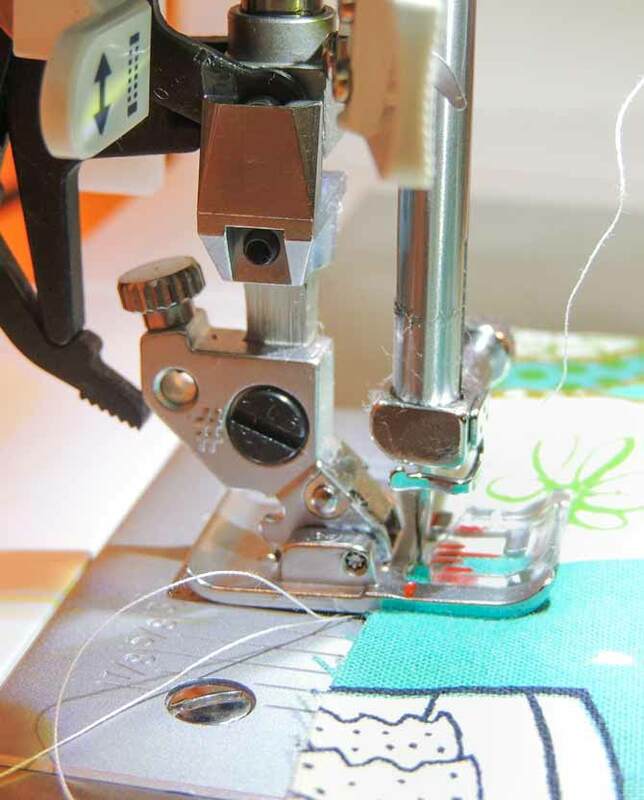 I also like to use the start/stop button for sewing decorative stitches. The machine is then in charge of using a consistent speed instead of my foot which results in more even stitching and a better result. I lower the machine speed with the lever so I can keep my hands moving on the fabric and work with the machine instead of against it. To stop the machine I simply press my foot on the pedal. With the decorative stitching done it’s time to add binding. I selected stitch 00 – the basic sewing stitch – and changed back to presser foot 0A. The presser feet change easily by pushing down to release and pushing up to engage. 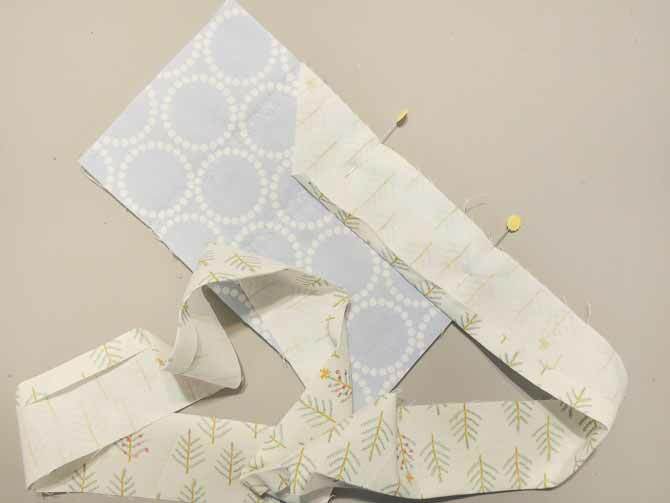 While this isn’t a binding tutorial, the photos do show how I currently do my machine binding. I cut my binding at 2½” wide and press ¼” under on one long side. 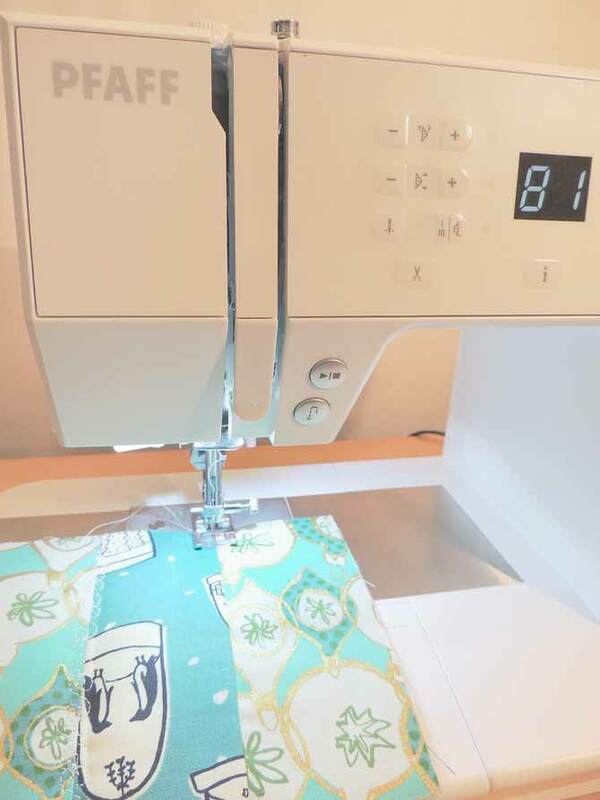 I cut a 45° angle at the beginning of my binding and pin the first side to the back of the mug rug. 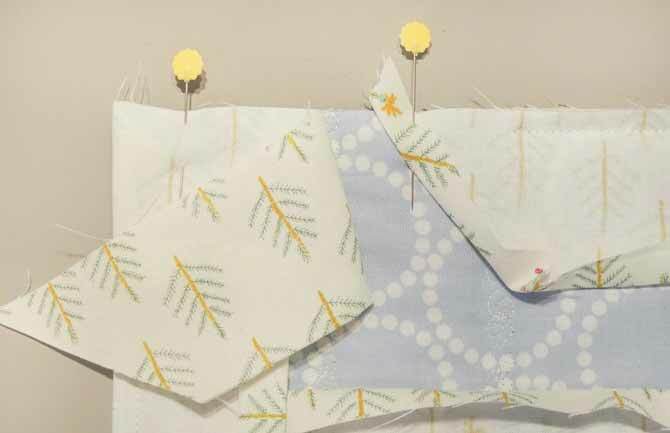 I start sewing a little beyond the beginning of the strip and stop ¼” away from the edge, turning and folding the binding to go around the corner. To finish attaching the binding I measure so that it will overlap by maybe an inch then cut it on an angle. I finger press the beginning piece and sew over both ends. Now it’s time to sew the binding to the front of the machine. I chose stitch 32 – a quilting stitch – which required switching to presser foot 1A. Notice that this foot does have an opening at the back to engage the IDT system. Then I folded the binding over twice, pinned in place and started sewing with the needle down. At the corners I folded over the binding to create a mitred corner look and kept going. I used the reverse button and the end to secure my stitches. I’m really happy with the extra detail the decorative stitches added to my mug rug. I almost like the back better! I like to make a ‘busy’ side and a ‘calm’ side to projects like mug rugs and table runners – it makes it much more likely that the recipient will like at least one side and also extends the usablility of the piece. Maximum length for selected stitch. In this photo you can see I used a green thread for the stitching. 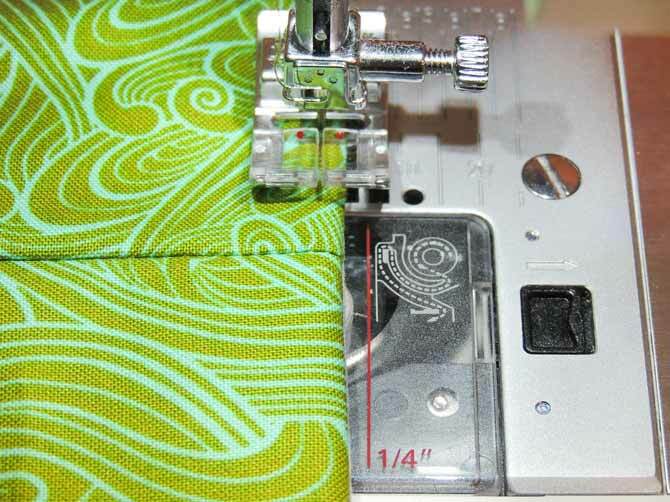 The stitching in the green fabric is the original stitch length and the one in the mint is the same stitch with an increased length. My backstitching doesn’t look that great here because I forgot to decrease the speed before reversing, but it’s good enough for me this time! The measurement guides on the presser foot and the bobbin cover make it easy to do topstitching really close to the edge. 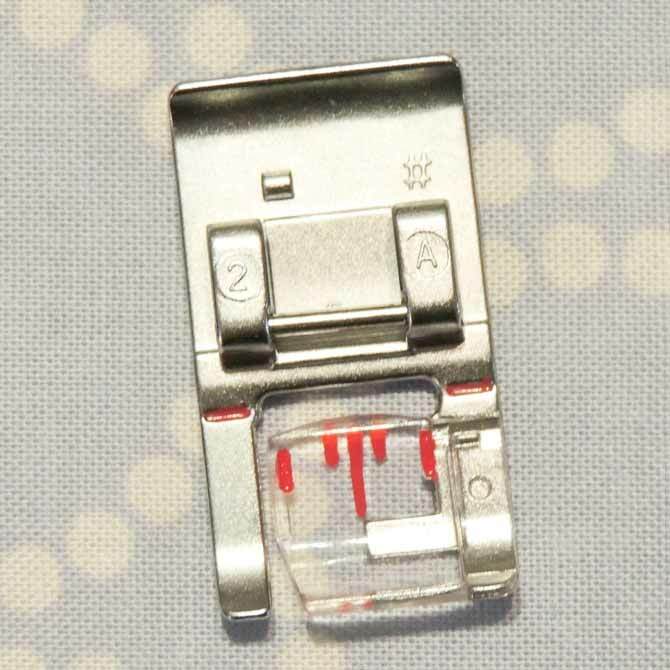 The ¼” guide on the bobbin case extends long enough to see while sewing and the little red dots on presser foot 0A are ⅛” from the needle – a perfect distance for topstitching. I hope this photo conveys to you just how perfect the stitches look when using PFAFF’s passport 3.0. I’m really pleased with this mug rug – simple straight stitch in the ditch quilting and neutral thread topstitching. 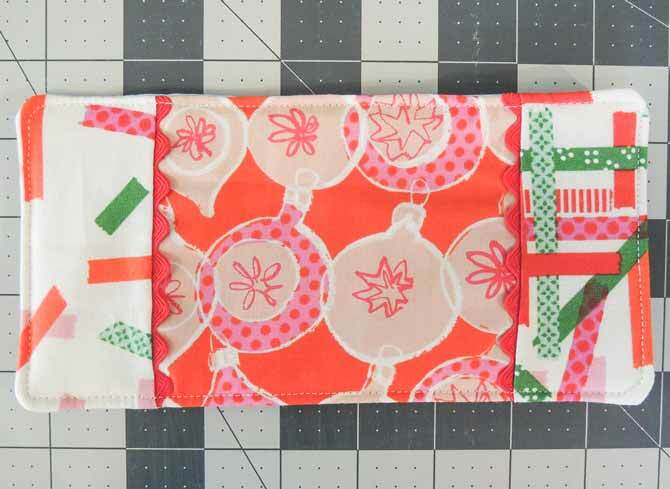 The final mug rug was also simply finished with the envelope method and topstitching. 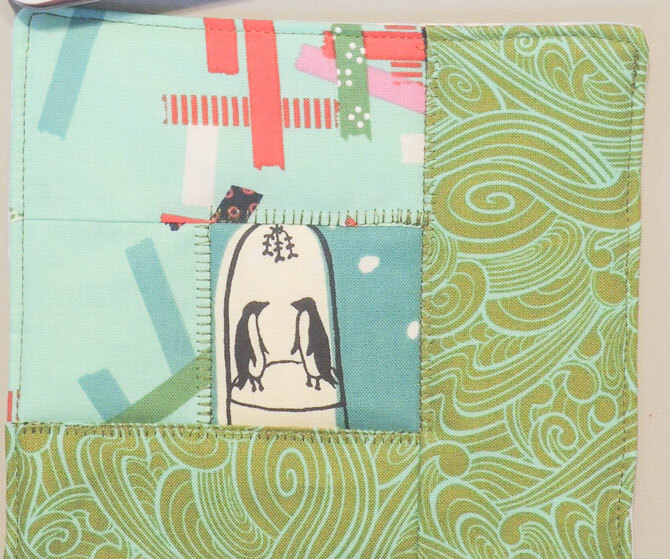 I had previously sewn ric rac when joining the main patchwork pieces together – it looks ready for a cookie! I made three of the mug rugs with the envelope method which puts the batting right against the feed dogs when sewing. 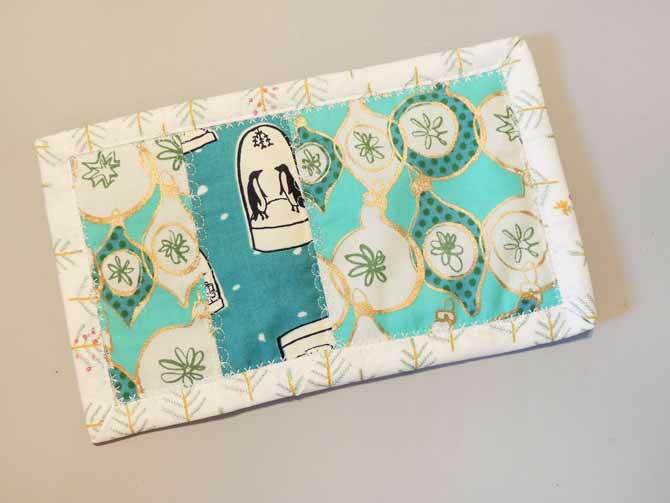 I like to clean out the machine after using the envelope method and wanted to show you what the stitch plate looks like because it surprised me – it’s really big! The top of the bobbin case is attached to the plate so watch for it all to come out when you lift up. I’m so happy to have four finished mug rugs for gifting this year. The passport 3.0 made quick work of the project and its features made it enjoyable too. 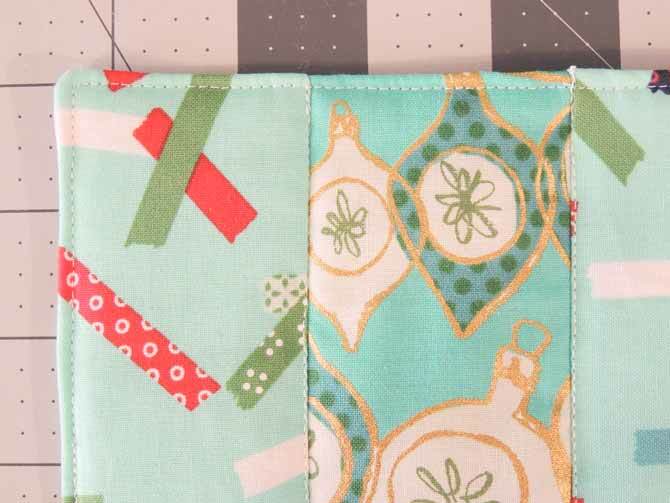 Come back for some more quick gift making with the passport 3.0 tomorrow! I love this machine. It is the perfect size for traveling. It fit in the overhead compartment on the airplanes and is easily portable for going to quilting classes. I use this machine more than my Viking.